Back when our family had our first dog, Ivory Snow (a cocker spaniel), I built her a doghouse made from a large cardboard box; it was later expanded with a second cardboard box. Boy, she loved that thing as much as I loved making it. 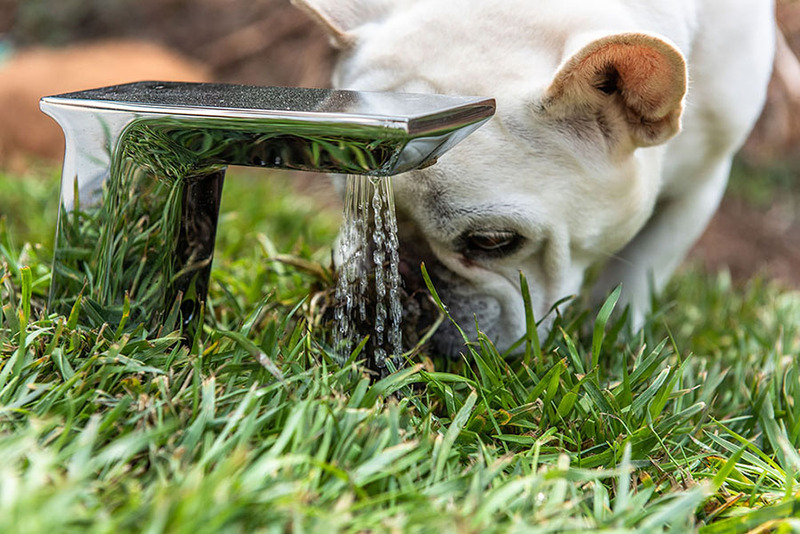 For our dogs, I’m sure a list of things they would want start at delicious treats and a comfy bed, but for all we know, they could even dream of an improved and updated take on traditional dog houses that may even reduce their carbon footprint. Or paw-print; I’ll see myself out. 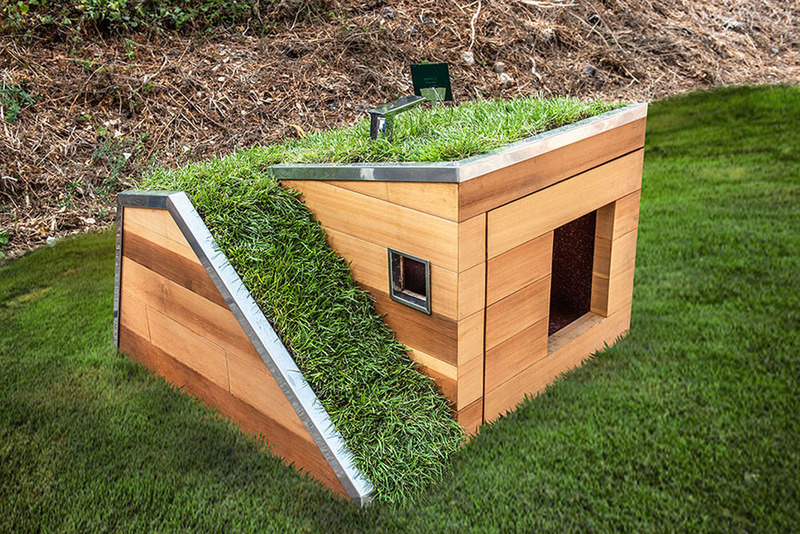 Some additional green features include a built-in floor drain behind the front wall for simple soil cleanings, a solar-powered fan for cooling, and a drawer underneath the green pathway for (you guessed it) treats, toys and other things doggos enjoy so much. 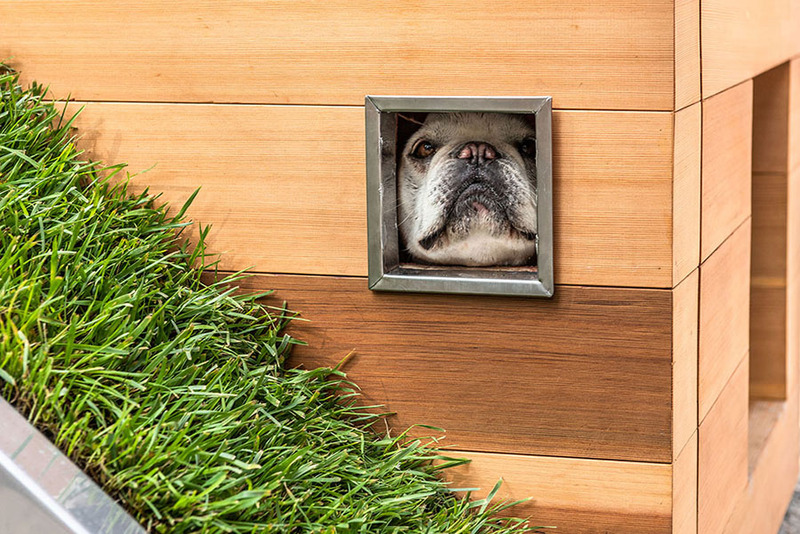 You can see the Doggy Dream House LIVE and IN-PERSON (you’re the person, not the inanimate object, of course) from September 11-15 at the Carmel Canine Cottages Competition in Carmel, CA. 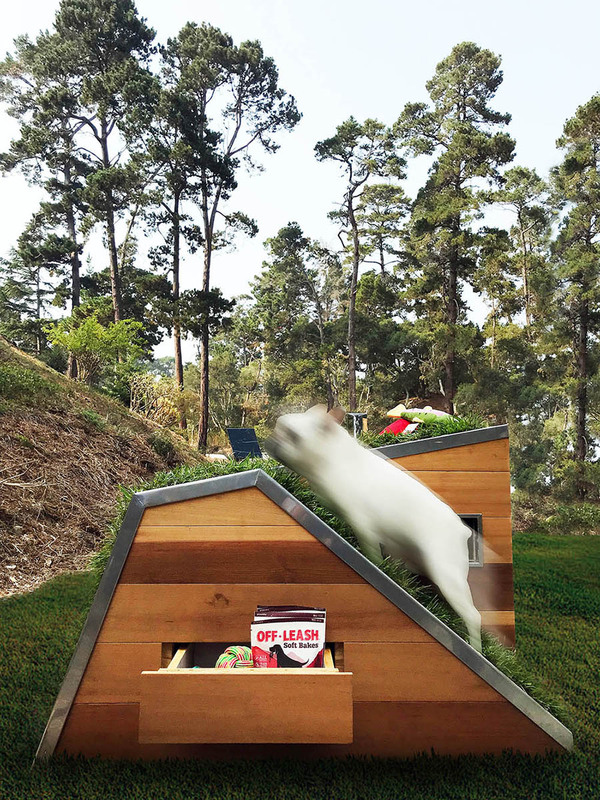 After that, the dog house will be auctioned off on September 15 to raise money for the Society for the Prevention of Cruelty to Animals (SPCA).